The European Commission is preparing a €200 billion “pact for growth” to be presented at the next EU summit in June. According to leading Spanish newspaper, El País, the plan aims to raise funds valued at €200 billion for investments in infrastructure, renewable energies and advanced technologies with the involvement of the private sector, in a bid to kick-start economic growth without raising public debt in the 27 member states. The plan, which takes into consideration ideas of the French Socialist front-runner François Hollande, namely leveraging the European Investment Bank to boost growth and jobs, will be presented after the French elections. 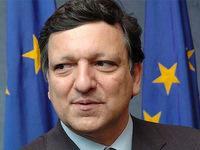 Responding to widening criticism of austerity-led reforms, European Commission President José Manuel Barroso said on Friday (27 April) that the EU already had an agenda for growth, Europe 2020, but added that this agenda could be ‘updated’. "It is always possible to complement it, adapt it to more challenging situations. And indeed I see some progress now in the debate," he said. Barroso referred to his proposal for "project" or "investment" bonds as an example for this possible upgrade, as well as the Commission idea for reinforcement of the capital of the European Investment Bank (EIB), which he said had not been received well at the time. "Let's be honest, we need investment for growth at European level," he said, adding that he had discussed the issue earlier today with the Prime Minister of Italy Mario Monti. “There are no quick-fix solutions. We have had to deal with the urgent pressures of the sovereign debt crisis. The emphasis should now shift increasingly to prioritising measures that can boost growth and jobs and a return to a sustainable growth,” he said. Barroso and Van Rompuy statements come just days after Hollande detailed his plans for a new Europe-wide growth pact. Last week (26 April), Italy’s prime minister Mario Monti repeated that while budget discipline was needed, it must be accompanied by policies that drove economic demand. “We will certainly talk in more detail about that in June, where we will bring the European Semester to a close and endorse country-specific recommendations to guide member states in their structural reforms and employment policies,” Van Rompuy said. One of these is the EU patent, crucially important for innovation and growth, he said. If EU ministers do not sort out the issue at their meeting in May, “I will take it up at the June European Council,” he added. Among the other pending proposals that need “more spirit of compromise,” Van Rompuy cited energy efficiency and the public procurement package.